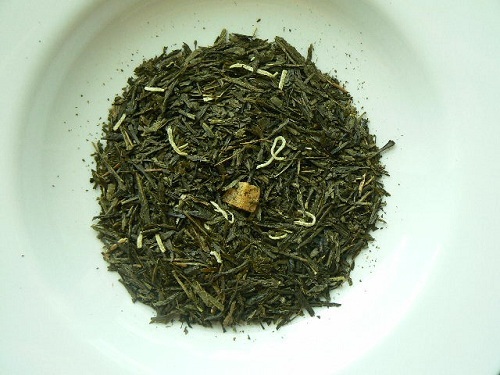 Pan-fired green tea from China, shredded coconut, pineapple bits, with coconut and pineapple flavor. Your taste buds will thank you – it’s mouth-watering! An enticing first introduction to green tea. Sweet enough on its own.